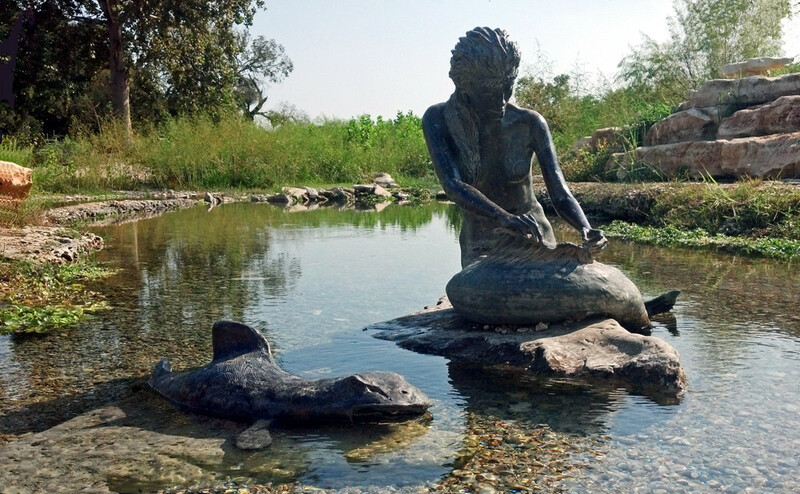 Sirena – Indian mermaid statue of Salado. Photo by Katrina. According to local legend, a beautiful Indian maiden named Sirena wished to marry an Indian brave who didn’t return her feelings. Sitting by the river looking at her reflections, she expressed her wish. A magical catfish overheard her, and promised to help her win the warrior if she would agree to become a mermaid on each full moon for a year, swimming with the catfish in the river. Additionally, while in the shape of a mermaid during each full moon that year, if human eyes ever saw her in the moonlight, she would then have to remain a mermaid forever (which the catfish secretly hoped would happen). Sirena agreed and soon married the Indian brave. On each full moon Sirena dove into the river as a mermaid and swam the night with the catfish. On the last full moon of the year, Sirena caught a fishhook on her fin while swimming, and climbed onto a ledge near a bubbling spring remove it. While working to unhook it from her fin, her husband saw her. 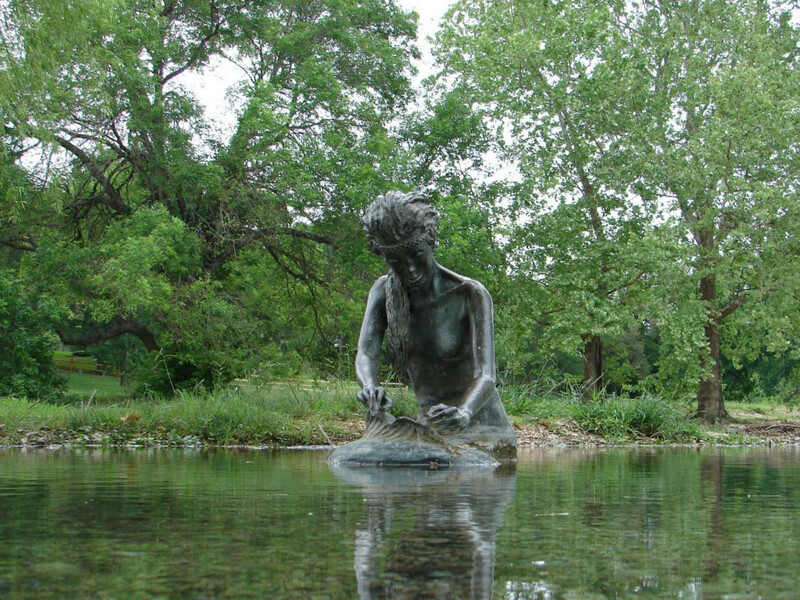 As their eyes met, the catfish pulled her back into the river, to remain a mermaid forever. The spring keeps flowing, watered by her tears. 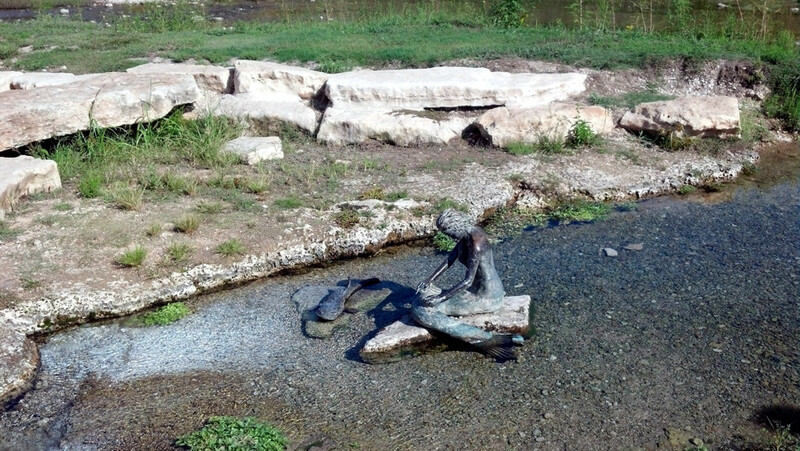 The sculpture of the magical catfish was added around 2009. Sirena was damaged in several floods, with the last one in 2010, which moved her and the catfish approximately 30 yards down stream. 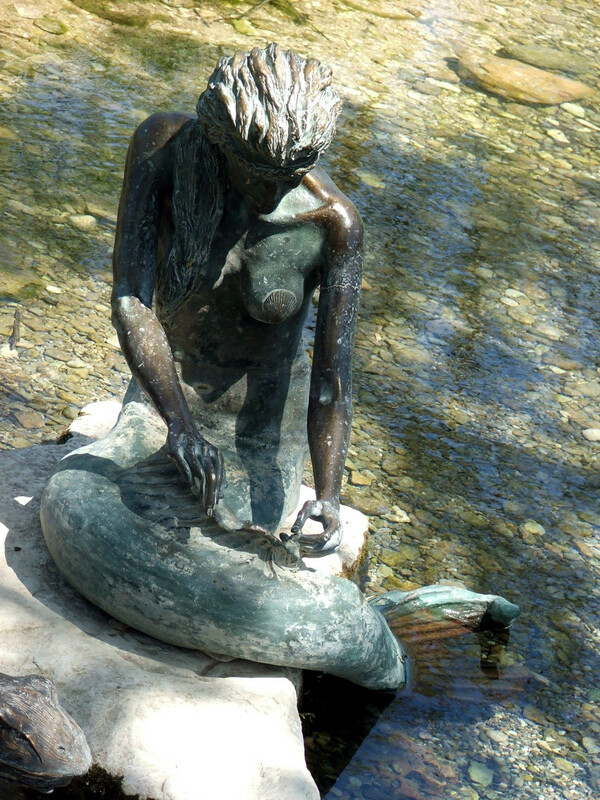 It is planned to recast Sirena in a higher quality bronce as soon as donations allow it. 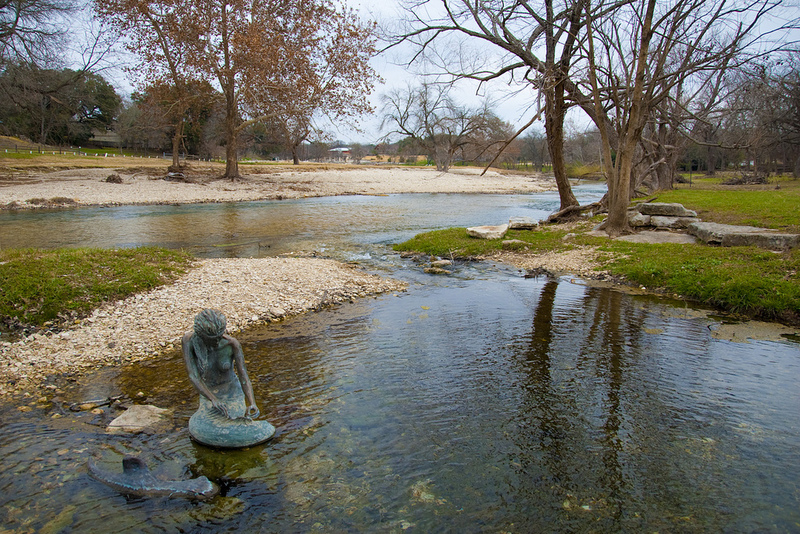 Donations should be sent to The Public Arts League of Salado, marked “Sirena”. It is a 501c non-profit with the address of P.O. Box 1241, Salado, TX 76571. 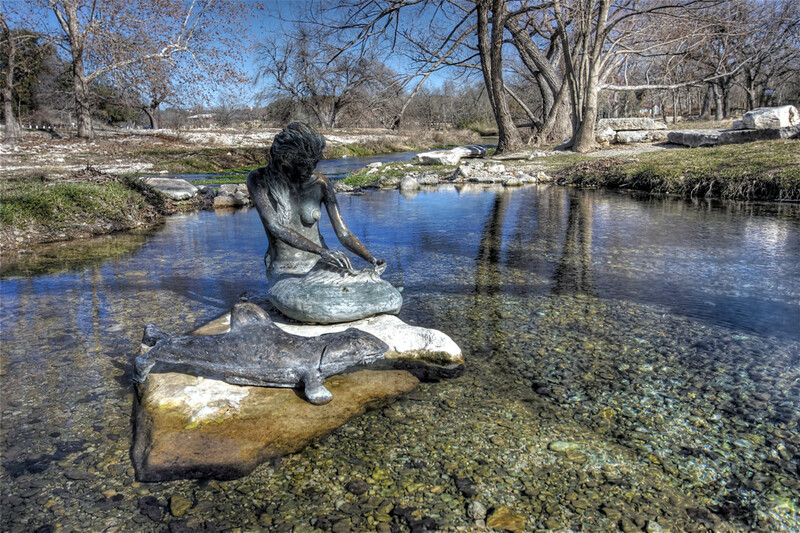 Indian Mermaid Sirena in Salado, Texas. Photo by Barb Jernigan. 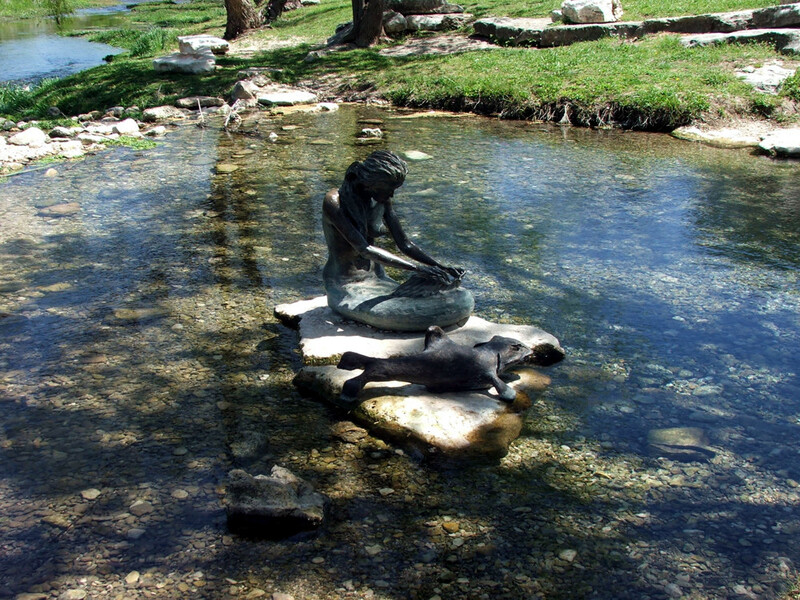 Indian Mermaid Sirena in Salado, Texas. Photo by Angi English. 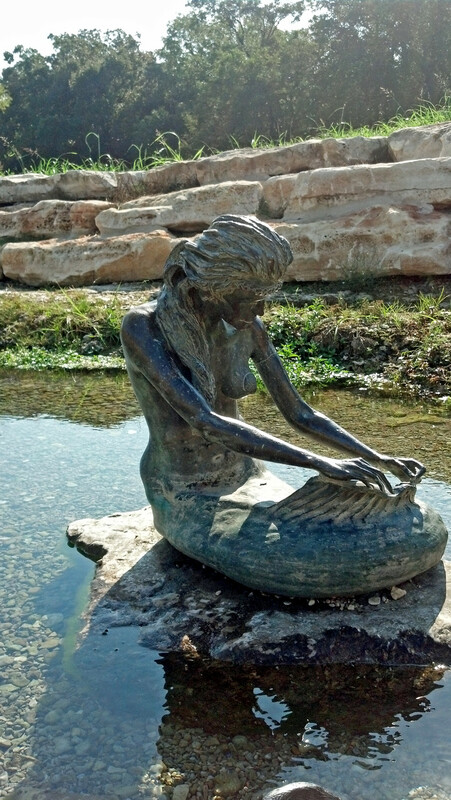 Sirena Mermaid in Salado TX. Photo by Erin Hollis. 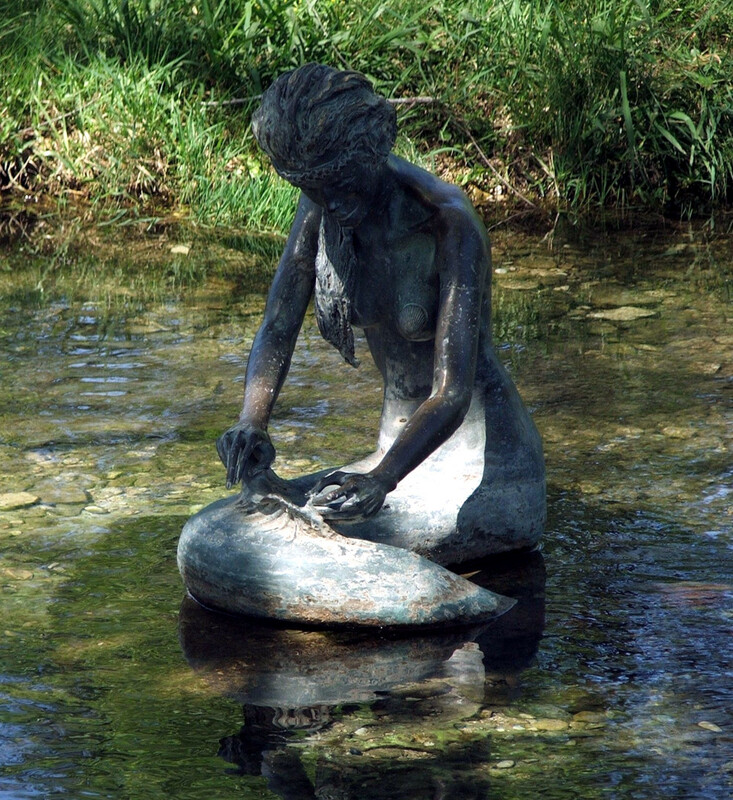 Sirena – Indian mermaid of Salado. Photo by Katrina. If you have relevant information, please contact us. 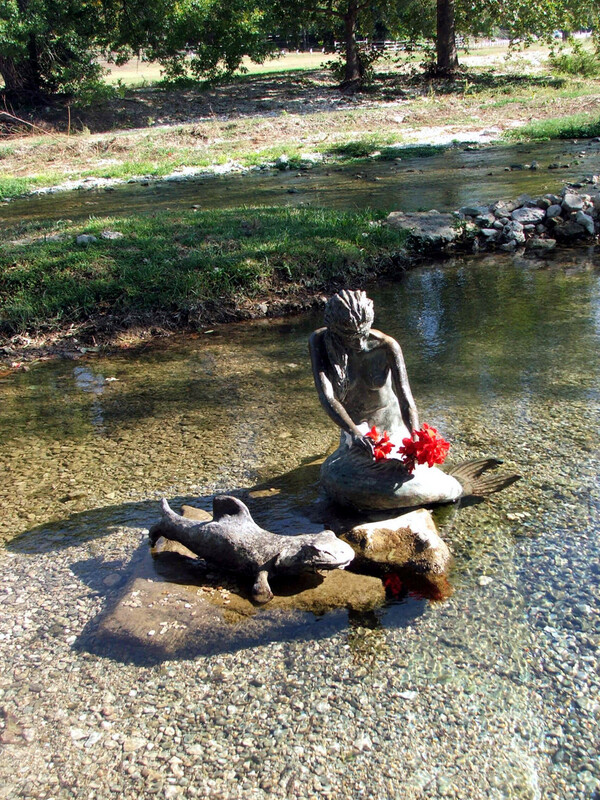 Additional images: If you would like to help with additional photographs of this mermaid sculpture, please contact us. Photos must be yours, 10 megapixel or better. We can only accept photos if you give us full rights to use them in print and digital media.